Gateway City legislators gathered yesterday to unveil An Act Relative to Neighborhood Stabilization and Economic Development. Filed by Representative Antonio Cabral (House Docket 3507) and Senator Brendan Crighton (Senate Docket 1578), the bill furthered the ideas for strengthening blighted and distressed neighborhoods that MassINC and the Massachusetts Association of Community Development Corporations assembled last fall with help from more than two dozen housing and community development leaders. Establishes a “spot blight rehabilitation program” so communities could acquire and rehab distressed vacant properties faster and more efficiently. Creates a commission to find creative ways to bring older structures up to current building codes in weak real estate markets where values are too low to support the level of investment necessary to modernize buildings. Incorporates “neighborhood stabilization” into the Massachusetts School Building Authority’s enabling statute so that investments in school facilities can be coordinated with other neighborhood revitalization efforts in a community. Create a capacity-building effort modeled on the Transformative Development Initiative to help cities and towns lead comprehensive neighborhood revitalization efforts. The bill also increases the annual cap of the Housing Development Incentive Program (HDIP) from $10 million to $20 million. At the bill’s unveiling, Representative Cabral, Senator Lesser, and Senator Crighton spoke passionately about the importance of Gateway City neighborhoods, both to the residents who call them home and to our Commonwealth more broadly. The fact is, Gateway City neighborhoods are the crux of so many issues that matter to residents of our Commonwealth, whether it’s healthy communities that offer residents ladders to economic opportunity or dense, urban neighborhoods to anchor more sustainable, lower carbon, transit-oriented development. Together, members of the Gateway Cities Legislative Caucus are focusing attention on the common set of challenges they face, including maintaining older housing stock at a time when the federal government no longer provides support, as the wounds inflicted by the national foreclosure crisis still run deep. This comprehensive package would provide much-needed tools. Tomorrow, February 1st, is the last day for State Senators and Representatives to sign on to this legislation as co-sponsors. Please reach out to your legislators to make sure that they are aware of this bill and the benefits that it would provide to your communities. CommonWealth and the State House News Service chronicle yesterday’s neighborhood stabilization bill unveiling with Rep. Cabral, Sen. Lesser, and Sen. Crighton. Fitchburg prepares to open five recreational marijuana businesses. The Chelsea 500 movement, a conjugation of several local organizations, has received a $65,000 grant from the state to assist them in securing jobs with the Encore Boston Harbor casino for at least 500 Chelsea residents. The Casino plans to fill 5,000 jobs or more by June. Doug Bushman, the Fitchburg Housing Authority’s Executive Director, requests $650,000 from the state’s Department of Housing and Community Development to fund his “Pathway for Success Plan,” which implement a workforce development office as well as provide for the upkeep of housing authority properties. A Boston.com/Globe report finds that home values in many Gateway Cities like Lowell and Lawrence are starting to “roar back to life” after the recession, outpacing many of their neighboring areas. The recent design effort of Worcester’s Polar Park, soon to house the Worcester Red Sox, by Boston’s Sasaki Foundation has solicited local community input so as to best reflect the city’s unique character. Current suggestions include Wormtown beer taps, empanadas, and housing a real polar bear. Springfield will soon enjoy the development of more retail businesses in its downtown, particularly near the new MGM Springfield Casino. Home prices in Worcester outpace the state’s average for 2018. 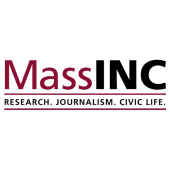 MassINC’s report on neighborhood stabilization receives press from MassLive, WBUR, and Fall River Herald. Pittsfield takes aim at chronic absenteeism in its public schools. The state approves a novel plan for charter school expansion in New Bedford, setting a unique precedent for the future of charters. The PROMISE Act, vowing to reshape the way the Commonwealth’s public schools are funded, makes its way through the Legislature. A six-month Governing investigation into public school segregation continues to find evidence the integration has in many ways failed students. Lynn prepares for major roadway and traffic safety upgrades. The state’s Department of Fish and Game’s Division of Marine Fisheries grants $15,000 to the City of New Bedford to make the city’s waterfront walks more accessible and safer for the public as it grows into a greater tourist attraction. Governing examines the national rise of incorporating “mobility” into how city leaders and planners make major decisions that affect housing, transit, and healthcare. CityLab maps out how Americans across the country commute to work, highlighting the prominence of Bostonians taking public transit instead of cars. The MBTA proposed a 6.3 percent overall increase in fares by July 1. Single trips on the commuter rail to outlying areas (e.g. Providence) will go up 75 cents, while a monthly commuter rail pass will increase by $13.75. Five promising candidates file their nomination paperwork in Fall River’s upcoming mayoral recall election. In Mayor Thomas Koch’s State of the City address he expressed his delight for the city’s rising property values and promised to keep Quincy affordable, by exploring new residential projects and bolstering tax deferral programs for older residents. The Berkshire Museum in Pittsfield names a new Executive Director, Jeff Rodgers, formerly of the South Florida Museum, to lead the museum. The Globe examines the cultural and historical clout of a new chocolate shop in Salem’s downtown that uses both ancient and modern recipes in its treats. CityLab outlines the case against “vasectomy zoning,” or city planning that inhibits the ability of parents to access childcare and two-bedroom apartments.